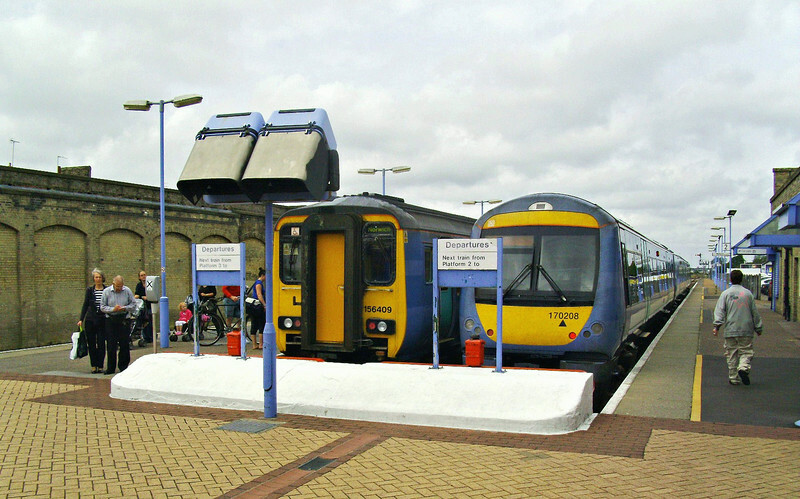 Lowestoft central on 12th July 2011. Turbostar 170208 stands at Platform 2, forming the next Ipswich service. A Norwich train is about to depart from platform 3 with 156409. After removal of the overall roof there is now no shelter for passengers.